Bro. Megerdichian Shines in Metal: Currently in museums in the area. 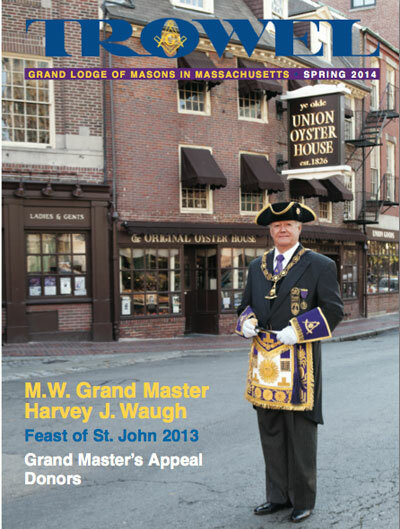 Donors to the Grand Master’s Appeal 2014: Many Masons have made light work. Our Naughty Bro. William Hogarth: The hidden Masonic symbols in print revealed. The Brotherhood Fund: To help, aid, and assist our Brethren, wheresoever dispersed. 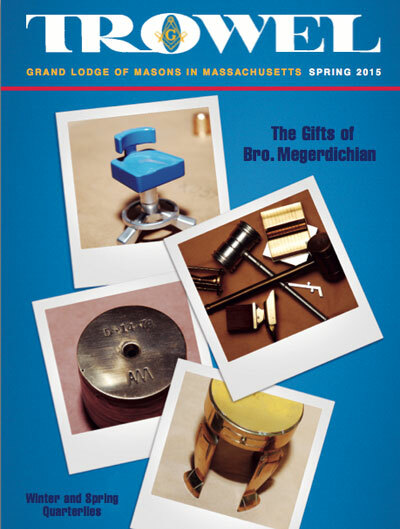 Masonic Medals: Honoring the past, creating the future. 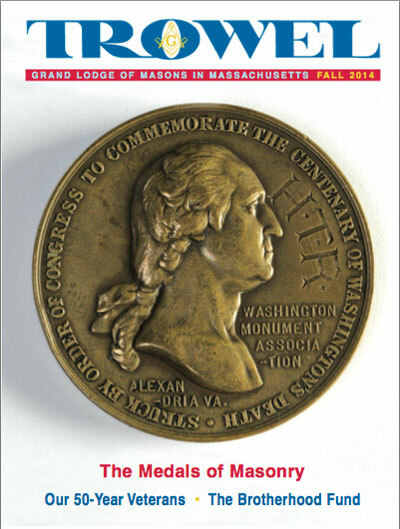 Be the Revolution: The start of a Masonic Academy. Veterans Medals Awarded in 2014: Members celebrating 50 years as Masons. What Came You Here to Do? : Senior Wardens going to the East for the first time. 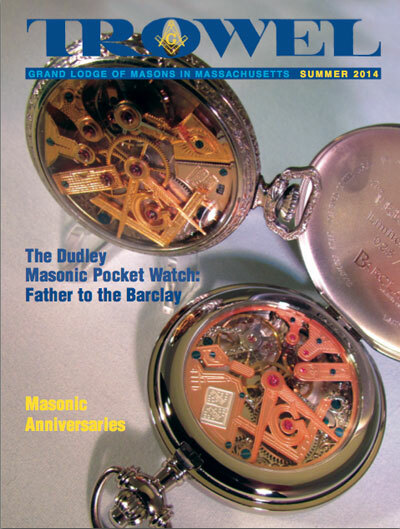 Be the Revolution: A Masonic call to action. The Excitable Heart: Part IV of a five-part series. 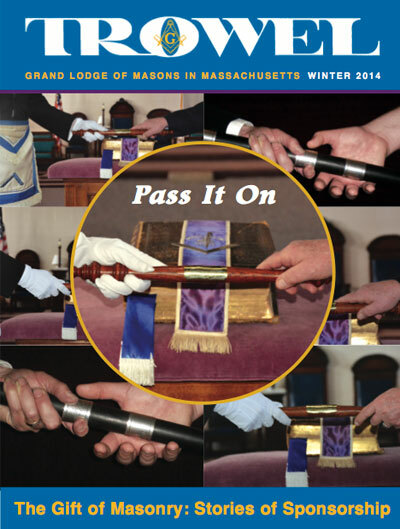 Masonic Anniversaries in 2014: Members celebrating 60, 65, 70, and 75 years at Masons. Master Gives A Sign: The Master of Satuit Lodge crafts a new sign.